It is inevitable that every company will encounter challenges, setbacks and recurrent problems. Therefore, it is crucial to recognise that every problem is an opportunity to make improvements and learn from past mistakes. Most problems will stay hidden until it’s too late to limit the consequences. Problems can generate a culture of blame and fear that inhibits creativity and initiative. Finally, employees may conceal from, or downplay issues to, others. This is inevitably detrimental to team spirit. 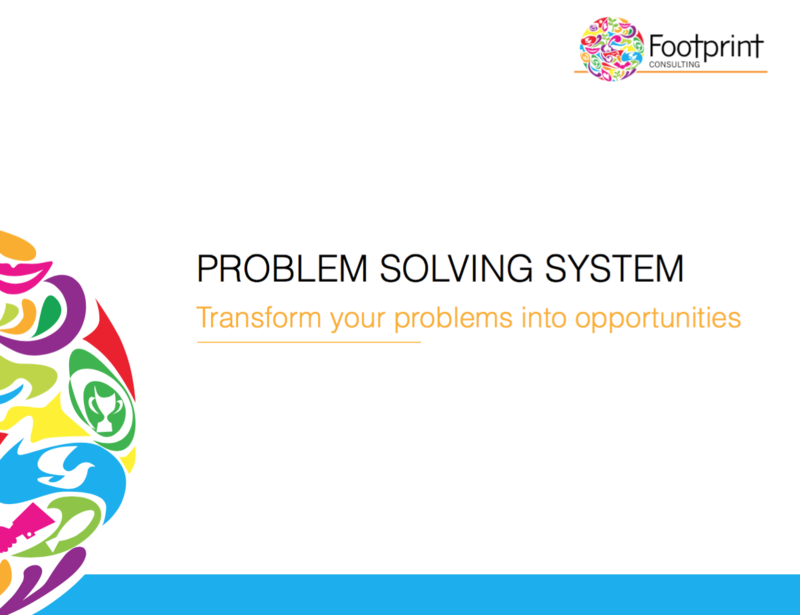 Where an organisation has reoccurring problems, Footprint Consulting can implement a Problem Solving System that transforms problems into opportunities. The process that we institute supports organisations as they solve their problems, and in the process encourages them to become learning-oriented. Teams are equipped with the tools necessary to analyse the root causes of problems and develop appropriate and responsive corrective and preventative action plans. The Problem Solving System is proven to reduce the frequency and impact of problems in any business, and also helps to identify new ways of adding sustainable value.